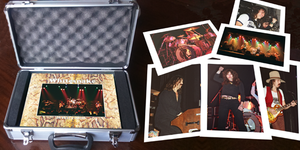 Whitesnake In Full Flight is a fully independent publication: A collection of concert photos and behind the scenes shots of David Coverdale's Whitesnake during the bands classic early years from 1978 - 1981. With over 130 concert photos from UK gigs they include fantastic shots from their third ever gig in Wolverhampton on the first "back to the roots" tour. 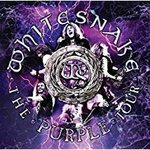 By the time of the band's first full scale UK tour promoting the debut album Trouble, Coverdale's former Deep Purple band mate Jon Lord had joined. The book contains photos from Birmingham during that tour. The Deep Purple connection continued when drummer Ian Paice joined in 1979. There is also a photo of Paice from the band's third gig although he was just another audience member at the time. Paice joined in time for the band's first appearance at the Reading Festival in 1979 from which there are many photos included along with shots from later in the year during the Lovehunter Tour. The concert photos conclude with shots from their appearance at the 1981 Monsters Of Rock Festival. 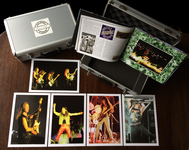 Whitesnake In Full Flight also contains a superb range of photos from the personal collection of bassist Neil Murray who is collaborating with us on this publication. Armed with his trusty Pentax, Neil was always on hand to catch the band in many different situations and locations. 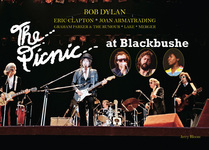 His collection includes photos from several recording sessions - Lovehunter album at Clearwell Castle, the Come an' Get It at Startling Studios and the sessions for the Saints & Sinners album in the Autumn of 1981.Neil's collection also includes many back stage, off stage and soundcheck shots from the first Japanese tour in 1980, UK and German tours from the same year as well as the US tour where they supported Jethro Tull. Neil kept diaries during his years in the band. Aside from contributing a foreword these diaries have helped Neil to add his memories and recollections to go alongside many of the photos. 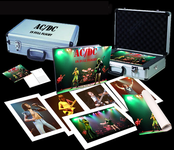 This combination of behind the scenes images mixed with the dynamic gig photos are beautifully presented in a 128 page, full colour hardback book. 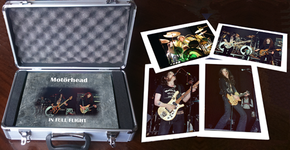 Limited to only 300, each book is individually numbered and sits neatly encased in foam within its own metal flight case and is a beautiful addition to any Whitesnake collection. If that wasn't enough, this unique publication also includes a set of 7 A4 photos printed on high quality 400gsm premium board and perfect for framing. 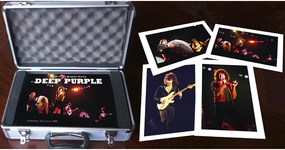 The seven photos contain one full band shot and one each of Coverdale, Lord, Paice, Murray and guitarists Micky Moody and Bernie Marsden. EDITORIAL CONTROL: This book requires total independent editorial control. 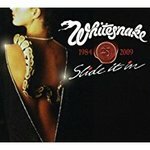 It has not been authorised or approved by Whitesnake or their management.